The importance of food safety is not taken lightly by Chick-Fil-A. With the adoption of Monnit and the Internet of Things (IoT), Chick-Fil-A can prevent foodborne illness outbreaks, and keep their customers healthy. With this powerful duo of chicken sandwiches and wireless sensors, we bring you The Internet of Chicken (IoC). If you are curious how the IoC can prevent salmonella, E.coli, and other food-borne illness outbreaks, then you need to read this excellent article by Clint Boulton on CIO’s website. 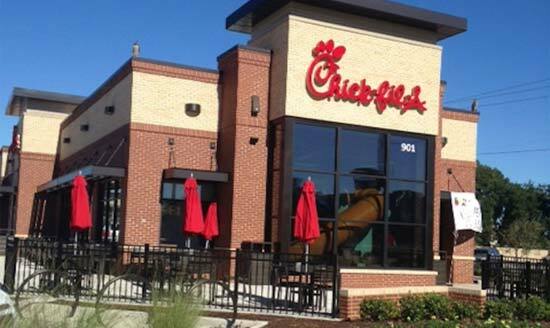 This article features Chick-Fil-A, and how they are using Monnit solutions to protect their business inventory, save money, and keep their customers healthy. Damaged inventory and employee safety issues occur everywhere; from the small business storage area to the 1 million-square-foot best-in-class warehouse. Identifying the cause of these facility issues is part of the process to decrease or eliminate these problems altogether. Let’s face it, running a warehouse takes a lot of time and energy. Warehouse management is confronted with various challenges that many companies fail to embrace fully. Imagine having to locate hundreds upon thousands of products that you have to ship to your customers within a timely manner, while preventing damage to stored goods and the building infrastructure, and monitoring the performance and safety of your facility and team. In the past, these obstacles were difficult to manage, but thanks to Monnit, that has changed. Monnit is proud to be selected as a finalist for the Best of Sensors Expo Awards 2016. Monnit is selected as a finalist for the “Application” award, which is designed to feature sensor applications, whether commercial or experimental. The goal is to recognize sensor use in the wider world that are distinctive and have the potential to change the way people work or serve a real industry need. 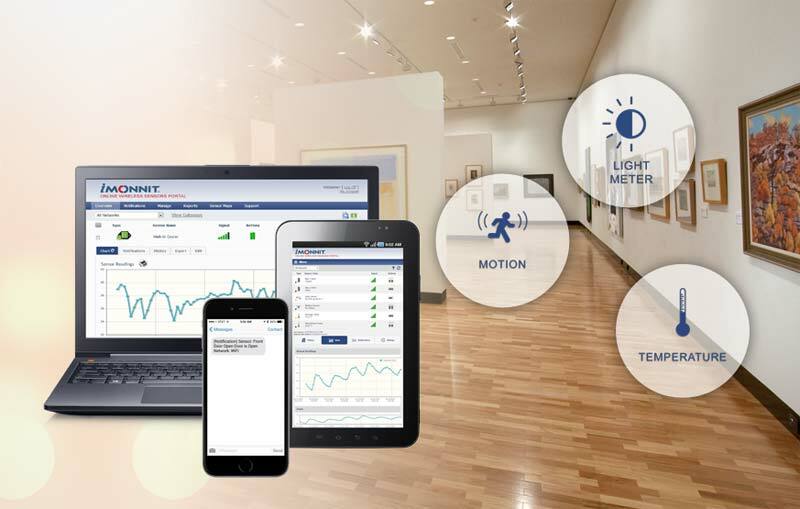 Monnit was selected for it’s Smart HVAC Monitoring Application, which uses wireless sensors to remotely monitor the operation and efficiency of HVAC systems. Monnit’s solutions provides alerts when the efficiency of a unit drops, signaling an issue with the unit that can be addressed before the unit fails. The ability to predict when failures may occur prevents downtime and minimizes the cost of service and repair. For more information on the Best of Sensors Expo Awards and to view other finalists, visit www.sensorsexpo.com/sensors-magazine-reveals-2016-best-sensors-expo-award-finalists. Sensors Expo & Conference is widely known as one of the world’s largest and most important gatherings of engineers and scientists involved in the development and deployment of sensor systems. The 2016 event is taking place June 21-23 with Pre-Conference Symposia being held on Tuesday, June 21 and Conference and Exhibits open Wednesday, June 22 and Thursday, June 23. For more information, visit www.sensorsexpo.com. Art galleries and museums are precious environments that provide fascinating objects and a look into the past. As museums and galleries protect our heritage and foster creativity, there is a vandal defacing these beautiful pieces of art and much more. No, we’re not talking about religious or political protesters, we’re talking about light. Most commonly when we think of light damage, we think of fading, although fading is the most visible form of damage. Light is a common cause of damage to many materials such as paper, cloth, leather, and photographs. Other than fading, light can cause damage to the physical and chemical structure of materials. While UV light is accused of most of the damage, the visible light is also harmful. While on exhibit, proper care should be taken to protect collections from light damage. The primary factors of the intensity of light and the length of time the materials will be on display need to be considered. Most collections can be on display for up to four months at 50 to 150 lux, and show no damage. 50 lux is comparable lighting to a home living room in the evening. A standard office is around 400 lux, and direct sunlight is 30,000 lux. For more light-sensitive materials such as photographs, leather, watercolors, textiles and prints, lower lighting levels are required. Materials without color can be exhibited at up to 150 lux, while others objects such as paper, wood, leather or other organic material should not be on permanent display. In recent news, a guest at a hotel in Portland, Maine was attacked by the “Silent Killer.” The silent killer has been identified as carbon monoxide, which came from a broken furnace in the hotel. Due to carbon monoxide being an odorless, colorless, tasteless, poisonous gas, it makes it undetectable by human senses. It is common that people do not realize they are under attack from carbon monoxide, which has detrimental health effects. The U.S. Centers for Disease Control and Prevention claims that more than 400 people die in the U.S. from CO poisoning each year, and over 20,000 people suffer illness or become injured. Last year an elementary school in Illinois was evacuated after more than 70 students and staff became sick from carbon monoxide in the building. Recently, in Pennsylvania, no one realized the diesel generator on top of the school was spewing exhaust into the ventilation system affecting everyone inside. Those are just two schools, and right now there is no way of knowing how many other schools, offices or hotels are being polluted with carbon monoxide. What are you doing to protect the people in your building? Owners of hotels, commercial properties, residential properties, and public schools are at risk when it comes to this Silent Killer. Monnit provides an enormous opportunity to protect your customers and employees with a Carbon Monoxide Wireless Sensor. With Monnit’s affordable remote monitoring system in place, you will be able to keep track of the CO levels in your buildings. Monnit’s sensors are small and low profile, so they can fit anywhere, allowing you to get the most accurate reading. Receive alerts via text, voice, email, or through a local display if the CO levels exceed a safe threshold. 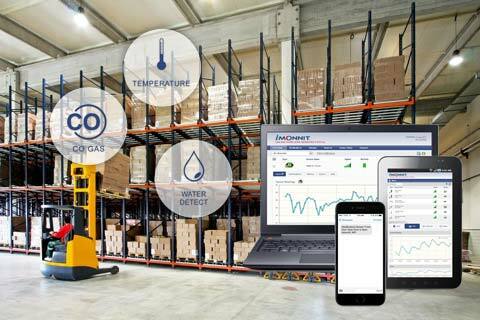 The Monnit Remote Monitoring System is the most intuitive, reliable, and cost-effective solution on the market. For more information on our solutions for building monitoring, visit our website. Be sure to visit Monnit in Booth# 1613 at Realcomm, June 21-23, 2016 at the McEnery Convention Center in San Jose, CA. Out team will be on hand to answer questions and demonstrate wireless sensor solutions from Monnit. If you are attending the show or are in the area and would like to schedule a meeting with us, click here. Monnit provides an extensive line of wireless sensors, gateways and software for remotely monitoring buildings and facilities. For more information on the show or to register, please visit https://www.realcomm.com. Be sure to visit Monnit in Booth# 1230 at Sensors Expo & Conference, June 21-23, 2016 at the McEnery Convention Center in San Jose, CA. Monnit provides an extensive line of wireless sensors, gateways and software for commercial, industrial and OEM applications and has a variety of partner opportunities available. To learn more about Monnit’s partnership opportunities, visit http://www.monnit.com/partner. For more information on the show or to register, please visit http://www.sensorsexpo.com. The official start of summer is right around the corner, but the triple-digit weather is already here. The heat can take a toll on more than just people and animals; it can also be a killer on your car battery. We often think of cold weather being the cause of a dead battery, since we often find ourselves having issues starting our cars in the freezing winter mornings. While battery failure can occur during the colder seasons, the battery’s chemistry can also be affected during the hot summer months. The intense heat can escalate the chemical reaction inside the battery, causing an increase in self-discharging and plate corrosion, which will cause the battery to short out. This is why many drivers will find themselves replacing their car batteries in warmer months. When the temperature is consistently 90 degrees or more, it is important to pay attention to your car battery. As many businesses rely on their vehicles to provide services to their customers, it is important to monitor the batteries of all your vehicles. Not only could you lose business by not getting to your clients, but a replacement battery can cost anywhere from $125 to $500. It could be worse to find yourself with a tow bill if you’re not careful. With Monnit, you can monitor the life of your car battery at any time with our Wireless Voltage Meters without having to get under the hood every time. Wireless Temperature Sensors can also help you by monitoring the temperature levels around your vehicles. With Monnit’s wireless solution you can keep your fleet running, as well as your car, boat, and RV, and eliminate costly surprises. Read the full article, Summer’s High Heat Drains Life From Car Batteries. While some of us may enjoy the heat, our four-legged family members may not. Our furry friends do not handle heat as well as humans, so we need to be aware of just how hot it may be in our pet’s environment. Pets are commonly left in a car or kennel that gets too hot, which can quickly make them suffer from heat stress or even death. Every year we hear stories of pets that die from heatstroke after being left in a car, boat or RV. Even with the windows rolled down partially, the interior temperature of a car can reach above 114 degrees Fahrenheit in 10 minutes or less. Before long, a car can reach temperatures above 140 degrees during summer months. There are similar incidents with animal kennels. View the symptoms and risks of heat stroke in your pets. 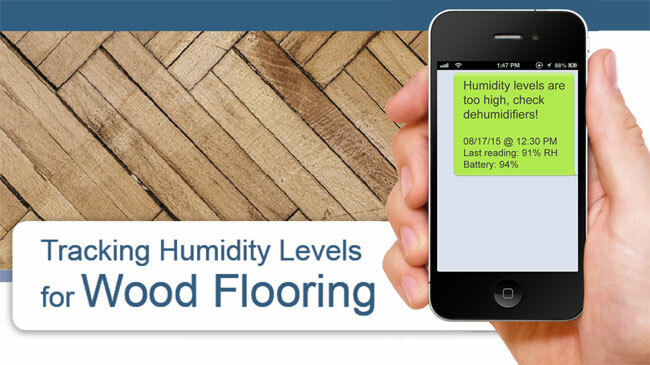 We all know that water can be damaging to your wood floors, but did you know that humidity can be just as harmful? With proper maintenance from relative humidity (RH), your hardwood floors will look ageless for years to come while others will begin to warp, twist and crack. RH is the amount of water vapor present in the air compared to what the air can hold at that temperature. With wood being a hygroscopic material, it exchanges moisture with its surrounding environment. If you own wood floors, then moisture is your worst enemy. Wood reacts to the environment it is in. With the changes in the seasons and fluctuations in temperatures wood gains or loses moisture due to the air’s temperature and RH. Air is everywhere filling every crack and tiny space, and infiltrating your hardwood floors. While only a small amount of moisture will get into your wood boards, over time the effects can be detrimental. The RH condition at the floor level is what’s important for monitoring flooring. Wood flooring is affected by the air directly next to it, not feet or inches above it. We are most familiar with the environment above the floor, which is typically controlled to make us comfortable when indoors. It is also recommended to monitor the RH immediately under the floor if you have a basement or crawl space.